After the madness and acclimatization of the first day at EGX 2016 in Birmingham, UK, I thought I'd be taking it easy on the second day. That, however, didn't go as planned -- because day 2 was just as manic. My entire day was spent demoing and chatting with some very talented, enthusiastic and pleasant indie devs who, as usual, were more than willing to chat and show off their gems. The day started off with a visit to the Nomad Games stand to play their latest title Smash Up. Originally a tabletop game, Smash Up is a card game in which players must choose their factions and then take over a base. Sounds simple, right? 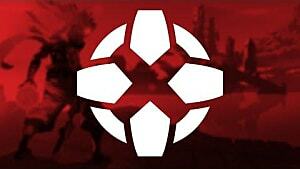 You might not think so when you find out that you actually have to choose two factions and "smash" them together. 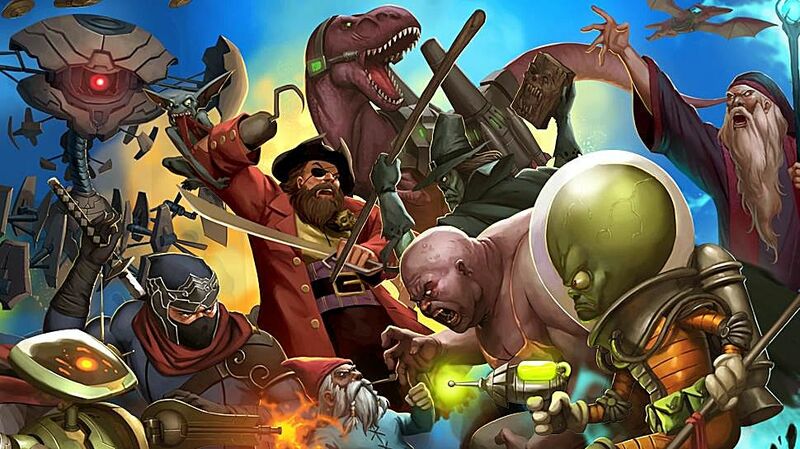 For example, I chose to play using the Alien faction and the Dinosaurs. 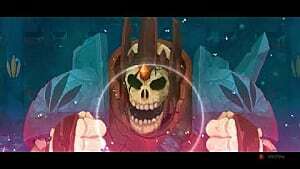 Those cards then get shuffled into the same deck to form your own new faction. My deck ended up containing lots of interesting technology coupled with a stompy T-Rex, so it was a pretty hard-hitting deck. The other faction available in the demo was Zombies. The look of the game is very good. The artwork on the original cards was done by an artist called Paul Peterson and the folks at Nomad Games have literally used all the same designs on their digital version. I absolutely love the way the cards look! While at EGX, it was confirmed that Smash Up would be releasing on October 6th and will be available on iOS, Android and Steam. I was really excited to play Political Animals, as I have been following the development of this indie game for quite a while. Developed by a Philippines-based studio called Squeaky Wheel, Political Animals is an election simulator set in a completely fabricated world inhabited only by animals. In the lead up to the election, you have to raise your funds, avoid scandals (or create them, if you so wish, to cause problems for your opponent), gain popularity and campaign to change the views of those who might not be voting in your favor. Even though the game is very cartoon-esque, do not think for one moment that it is easy...because it really isn't. It is being published by renowned political simulator developers Positech Games, creator of Democracy 3 (check out my review for the Electioneering DLC for Democracy 3!). So if it is good enough for them then it is certainly good enough for me! 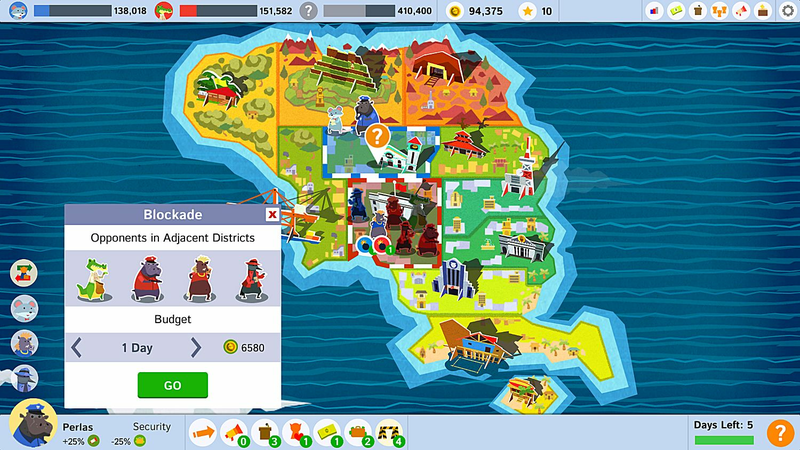 Political Animals is hoping to go live in time for the US elections later this year and will be available on PC and Mac through Steam. 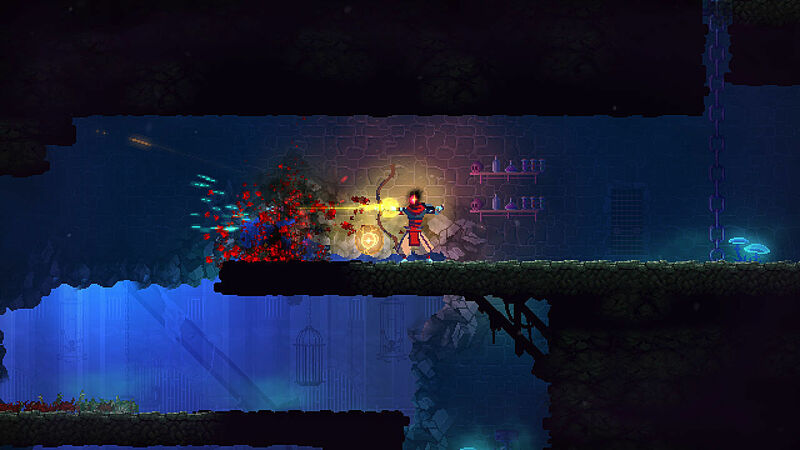 Hailing from Bordeaux, French developers Motion Twin brought their new game Dead Cells to EGX this year. 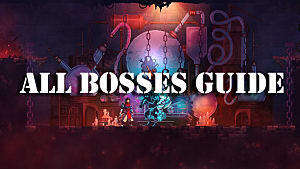 This rogue-like Castlevania-inspired game is an action platformer set in an ever-changing castle, and you must fight your way through the castle, asking NPCs questions to determine why you are there and what you are supposed to be doing. The beauty of the game is that every time you die, the game will be different. Different maps, different loot, different mobs. Even upon death, the game helps you out a bit. 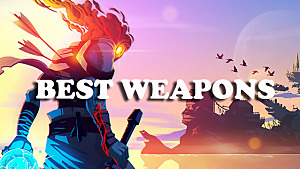 When you die (and it is when and not IF...) any weapon that you unlock will remain in the game for you to find somewhere. 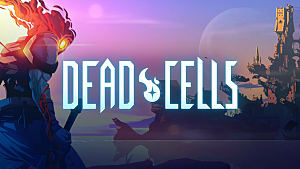 Dead Cells isn't ready to release just yet -- but if you are interested, keep checking back to find out the latest news on this title! This is another one of those games that I have heard about and followed on social media, so I was absolutely thrilled to play this charming point-and-click from Ireland-based Pewter Games Studios. It is an indie game, but is being published by Curve Digital. The Little Acre is set in 1950's Ireland and follows a young man, called Aiden, and his daughter Lily, who both inadvertently find themselves transported to another dimension. 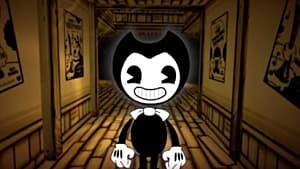 The characters go through a transformation as they travel into said dimension, as they turn from normal human proportions to short, disproportional, kind of chibi looking characters. The worlds are very different, but it works so so well! The voice acting is great, the story is endearing, and it harkens back to the great age of the Lucas Arts point-and-click adventures which is something I love. 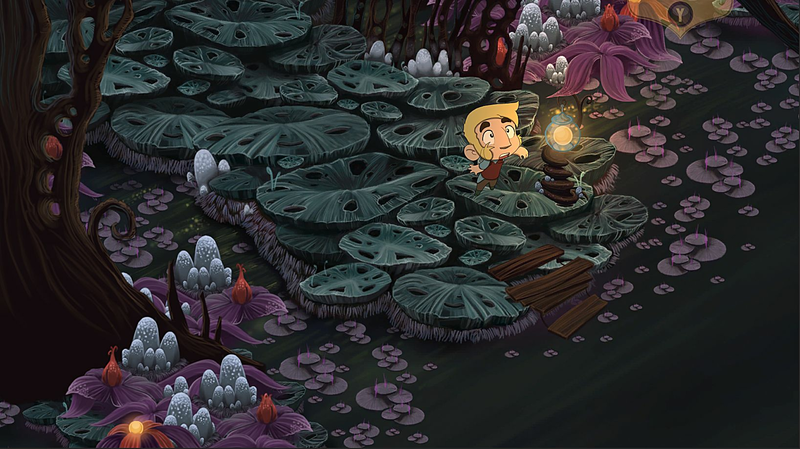 The Little Acre will be out sometime in Q4 2016 and will be available on PC, Mac and Xbox One. 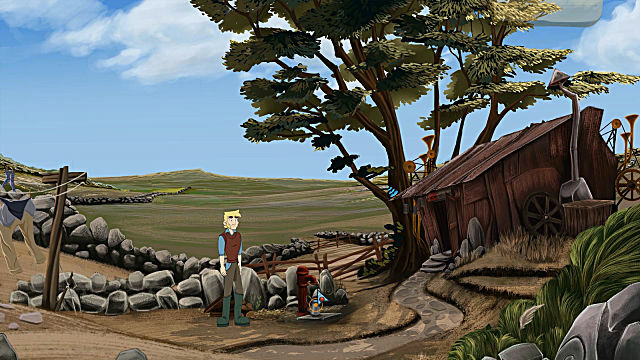 (Interesting fact: The Little Acre is Ireland's first Xbox One title). This was a very different game from all those I had played over the last two days. The developer's pitch said that the game is "the lovechild of Syndicate and GTA1" -- and if you look at the screenshot below you can kind of see what they mean. It is made by two brothers under the studio name of Smac Games. 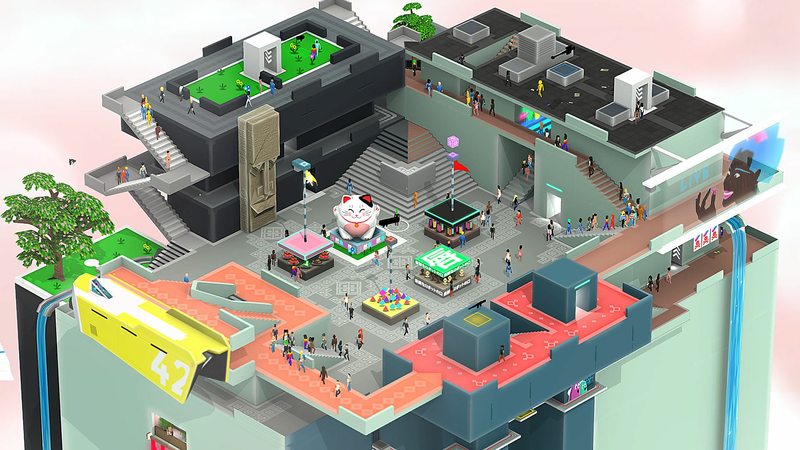 In Tokyo 42, you play an assassin who has to complete a number of missions to gain items and take on the evil underworld of a Tokyo-inspired low poly open world. As well as the assassin stuff, there are a lot of parkour elements, and having to negotiate what could be construed as optical illusions in the landscape. There is both a single-player campaign and a multiplayer mode. 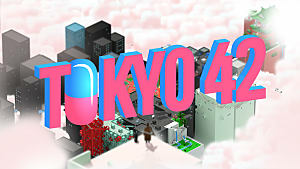 The game is still in its early stages, and there is currently no release information for Toyko 42, but we will let you know any information when we are told any! Beasts of Balance is a bit of an oddity, as it has both tabletop and video game components. The aim of the game is to stack animals as high as you can until they fall down (physical), and the volcano erupts (digital). Each piece contains a chip which you need to put in front of the stacking plinth, and then this translates to an image on the app. Without going into too much detail, there are 3 big beasts (eagle, bear, shark) who serve well as the base for your stack and 3 smaller beasts (warthog, toucan, octopus). There are also elemental artifacts, and cross pieces which will combine 2 or 3 animals together to make mythical beasts on screen. The game has been developed by a bunch of designers and engineers living in London, UK, called Sensible Objects. 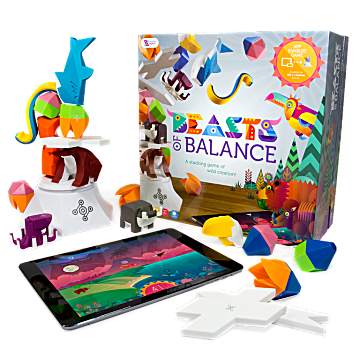 Beasts of Balance is currently available to buy through the Sensible Objects website along with some additional pieces which can be purchased separately. If you want to play, you need to be able to use an iOS or Android mobile device. Today it was my day to play The Fall: Part 2. Having already watched the game being played the previous day by GS writer Pierre, I kind of had an idea of what to expect, but that was nothing compared to playing it myself. I was immediately sucked into a dark world full of androids and a really compelling story which made me feel for the main Android character. 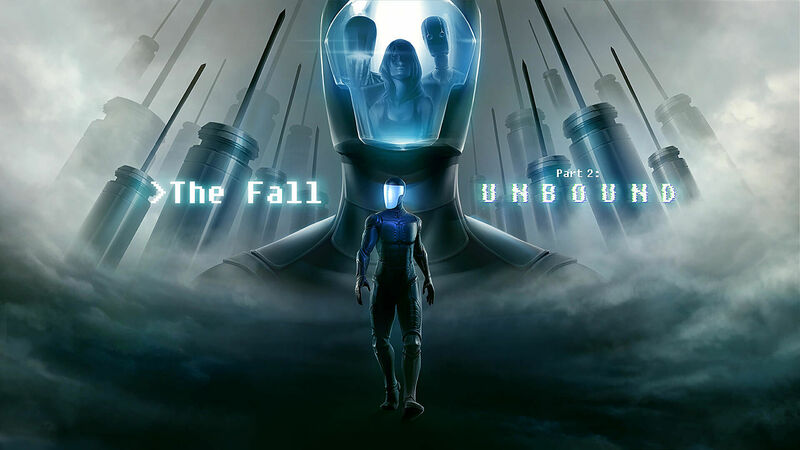 The Fall: Part 2, developed by US studio Over The Moon Games, carries on from the events which happened in the first part and focuses on a character called Arid, who is an artificial intelligence who is trying to find her way back to her own body. I don't really want to go into it much because it could contain spoilers and, having not actually played the first part (... yet!) it's going to be hard not to spoiler things for myself. 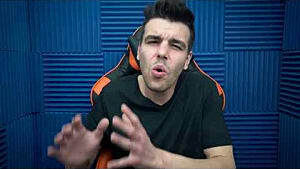 Pierre has reviewed The Fall: Part 1 if you really want to get the background on the game. Day 2 was fantastic and really opened my eyes to the shear quality of indie games being exhibited this year. 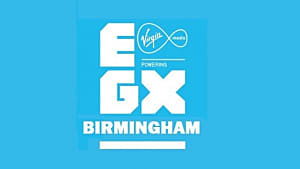 There are loads more indies to see over the course of the expo so I hope you will read my day 3 report and see what else I got up to.